Modern smart phones are incredibly capable devices. The guidance computer that got Apollo 11 to the moon and back could be simultaneously emulated 10,000 times on the smart phones that we are replacing every couple of years. There’s got to be something better than just chucking them in a drawer. After an exhaustive survey of the interwebs, I’ve turned up roughly 15 things that it makes sense to do with your old phone. The most obvious, and least satisfying, is to just keep it charged so you can use it as an emergency phone. Meh. An improvement would be to install a VOIP service and use it to make free calls over your home Wi-Fi network. If you don’t want to use your old phone as a phone, you can take advantage of all that memory; load it up with content and it can be an MP3 player, an e-reader, a game system, or even a full-fledged media server (yes a server). Whatever you do…please don’t just use it as an alarm clock. 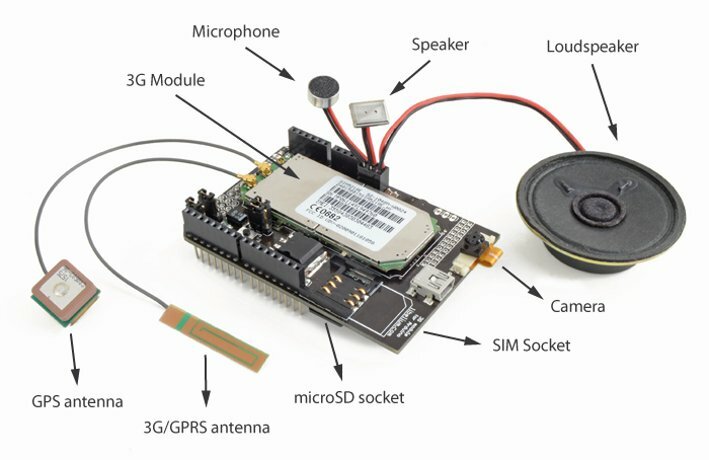 Cell phones (like this and this) are turning out to be a reasonably popular open source project. It makes sense when someone points it out. They are pretty much the Swiss Army knife of the digital world. More importantly, they are useful and versatile but they don’t require any real hardware hacking. That’s important since most of the people doing open source work are comfortable with code and soldering irons…not wrenches. Here’s an outline of the open source hardware necessary to physically assemble your own touchscreen phone. Zach Wick grabbed all of this stuff off-the-shelf (his or someone else’s). You know how the Arduino has those expansion ports on it? Well, now Cooking Hacks (the same group that created the XBee shield) has created a 3G + GPS shield for attaching to those expansion ports. That’s right, you can make the Arduino accessible anywhere. As much as I hate talking about the cloud, this little beauty allows you to add your Arduino (and/or entire project) to it. It’s an open source phone. Openmoko started out as a company, but is now a group of people working on providing a complete mobile phone solution. The project has been expanded by Golden Delicious Computers via a new motherboard.